In the Fun Kids Book Club this month, we look at the brand-new book in the How to Train Your Dragon series! If you’re a fan of the How to Train Your Dragon books, we have some REALLY exciting news for you! 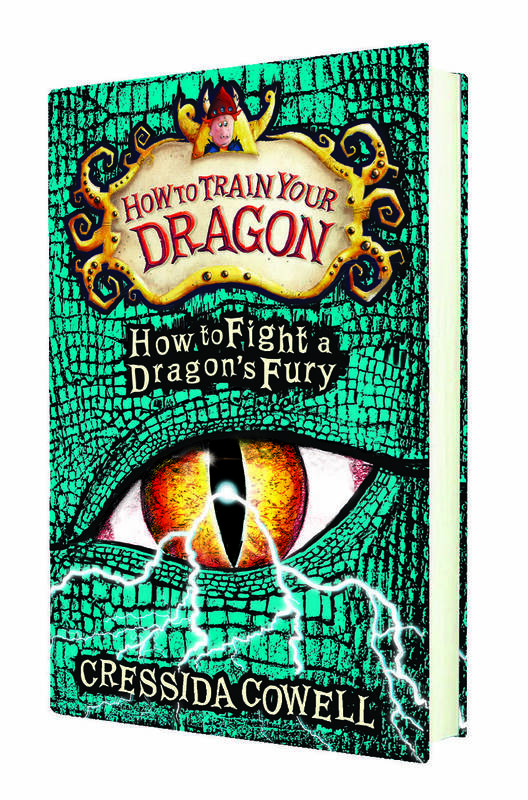 How to Fight a Dragon’s Fury is out on the 8th September! If you haven’t read the How to Train Your Dragon books, it’s about a Viking boy named Hiccup and his dragon, Toothless, and their adventures as they try to save the Dragons from Alvin the Treacherous. In this new book, Alvin has stolen all of the Lost Things from Hiccup so he can be crowned King of the Wilderwest on the island of Tomorrow and use the Dragon Jewell to destroy all dragons forever. Hiccup needs to take back the King’s Lost Things and use the Dragon’s Jewell to save the dragons forever! There’s a really big problem- Hiccup is stranded on an island called Hero’s End, not far from the island of Tomorrow, without a riding-dragon, no boat and no lost things – only the one with the King’s Lost Things can land on Tomorrow and live, otherwise he will be dragged up into airy oblivion by the Dragon Guardians of Tomorrow. Today is the Doomsday of Yule, the day of the Final battle between humans and dragons. Hiccup has one day left to become King of the Wilderwest and save the dragons forever!